Forest Gnome's House in the New Year's Eve. Panorama View. Handmade illustration in a classic cartoon style. 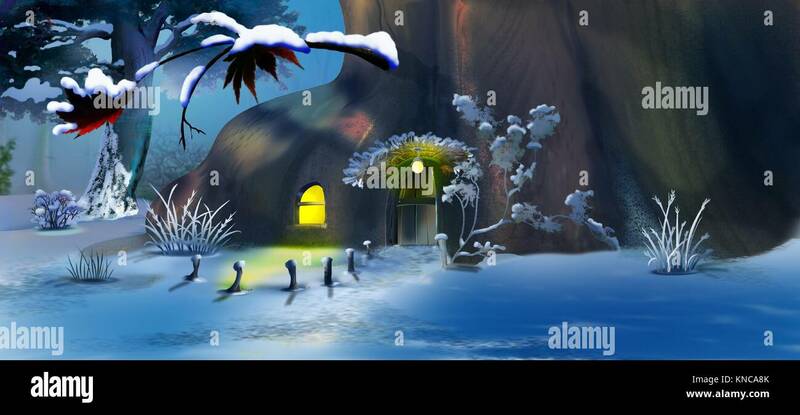 Forest Gnome's House in Winter. Panorama View. Handmade illustration in a classic cartoon style.